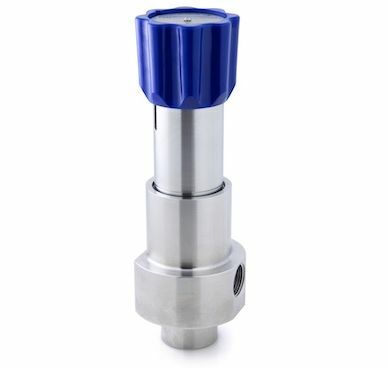 The BP-MF690 (15) is a piston-sensed medium-flow back pressure regulator for gas or liquid applications. 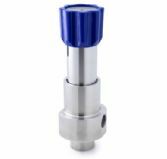 The gas version includes a PEEK™ seat, whilst the liquid version features ceramic seating for excellent protection from cavitation and positive shut-off on medium-flow applications. 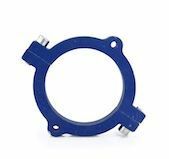 The BP-MF690 (15) accurately controls inlet pressures of up to 300 bar (4,350 psi) and vents excess pressure back via the threaded NPT outlet port.